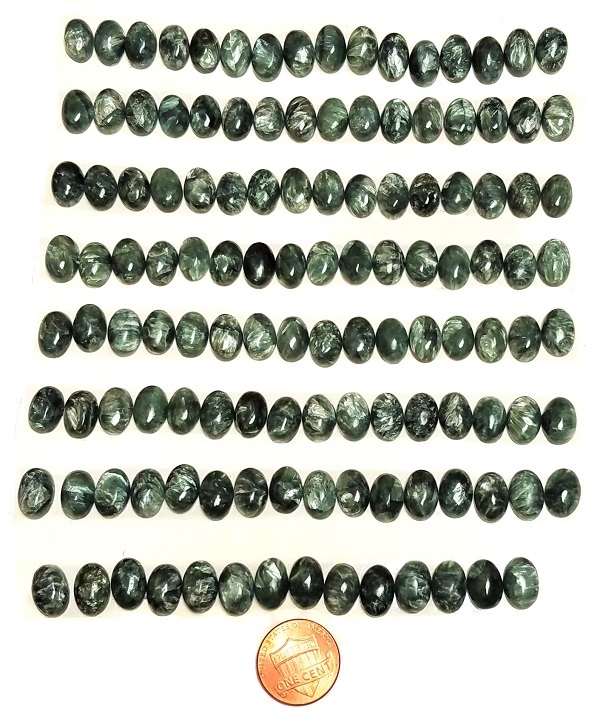 Grade A Seraphinite 8mm x 12mm Ovals. Parcel consists of 126 stones. 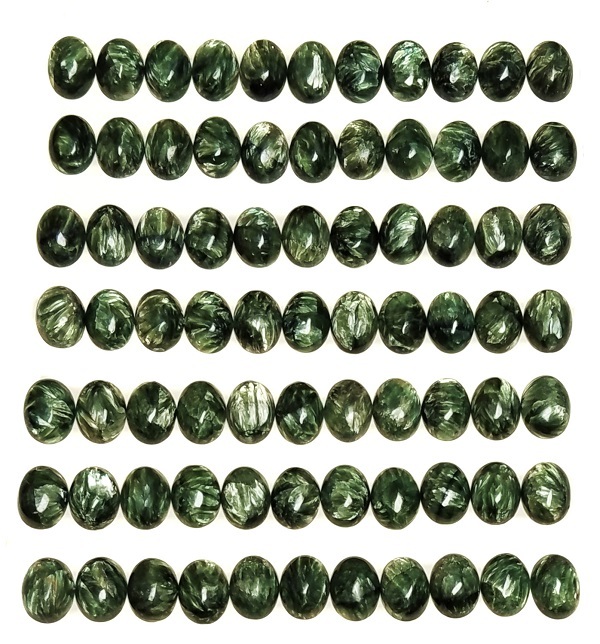 Grade A Seraphinite 12mm x 16mm Ovals. Parcel consists of 77 stones. 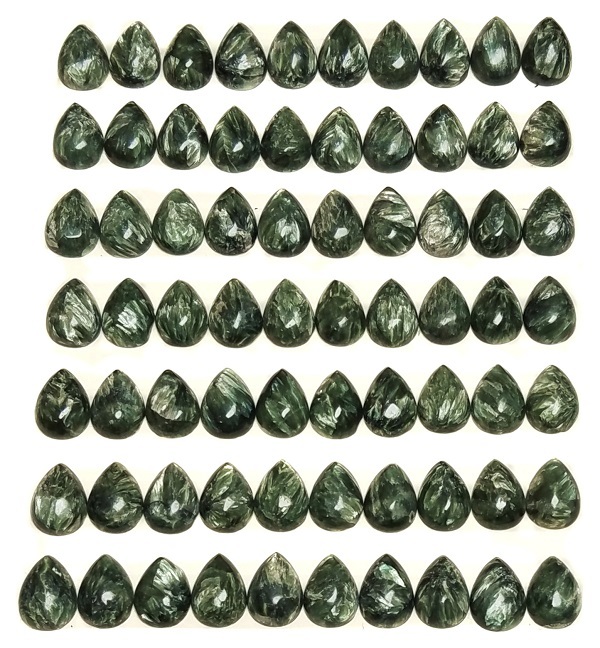 Grade A Seraphinite 13mm x 18mm Teardrops. Parcel consists of 70 stones. 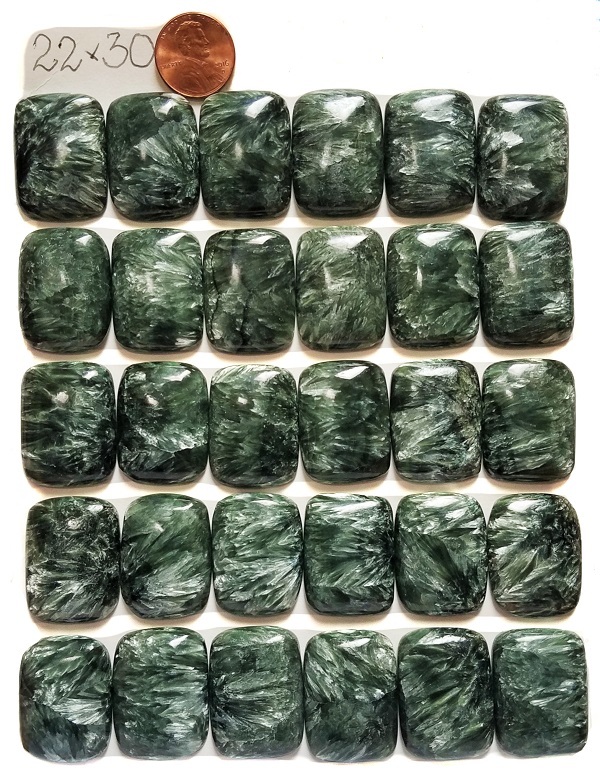 Calibrated Grade A Seraphinite 22mm x 30mm rectangles. Parcel consists of 30 stones. 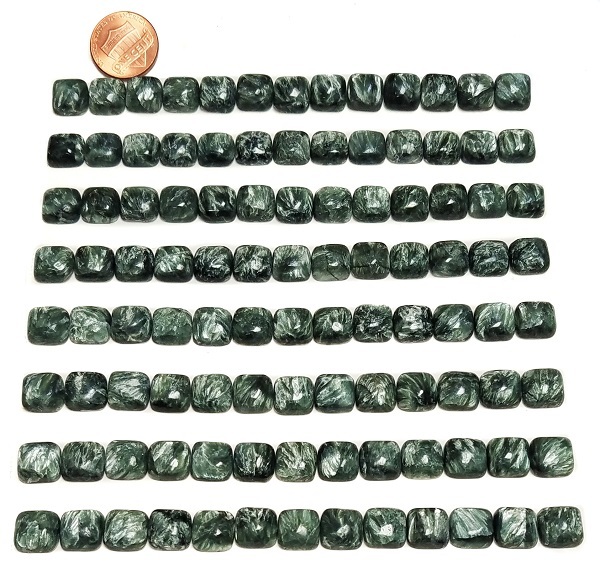 Calibrated Grade A Seraphinite 10mm x 10mm Squares. Parcel consists of 104 stones.